Prize Bonds is gold investment and are bearer type of security available in the denominations of Rs.200, Rs.750, Rs.1,500, Rs.7,500, Rs.15,000, Rs.25000 and Rs.40,000. Prize draws are held on quarterly basis. Most people purchase prize bond with the hope that they will win the first prize and become rich over night. Prize Bond’s Scheme is the only lawful source for poor and middle class people investment opportunities to become rich overnight. For wining first prize many people try different method or formulas but unfortunately there is no guaranteed method in the world that can sure you to get first prize. Islam clearly says that no one can see in future so don’t trust Babas who give you guarantee to win prize bond. I always recommend you never pay money for getting prize bond guess paper. Before purchasing prize bond guess paper think first why people beg little amount of money from other for providing them sure shot prize bond guess paper. These people making your fool so don’t trust on them and become their victim. Pray Almighty Allah for your troubles. I recommend another method for wining prize bond first prize. 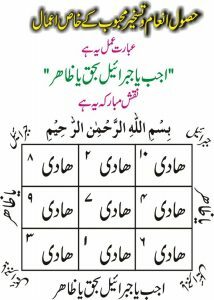 Here in this post I share wazaif for wining prize bond through luck number. 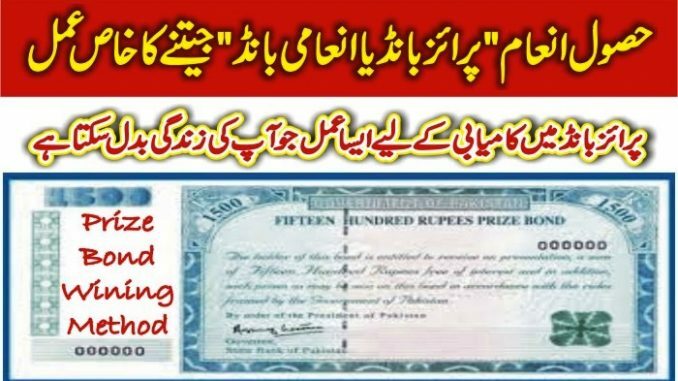 By doing this wazifa you can have chance to win first prize. 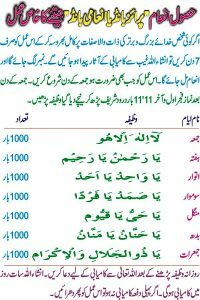 If you want to increase your income then recite these wazifa and also change your attitude towards people. Try to help every one. Increase your trust in your Allah and fate. Do not be greedy. Concentrate on your work more as hard work and luck both are necessary for success in life. If you are lucky then you can earn money without relying on “Babas” who assure you about success in wining prize bond.